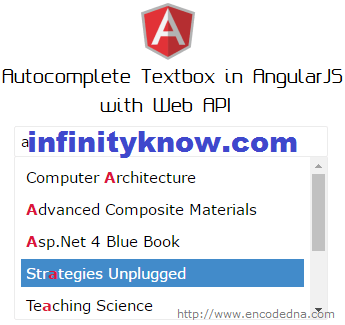 In this post we will show you Best way to implement Angular.js JSON Fetching Example, hear for Simple RESTful Json parsing using AngularJs Tutorials with Download .we will give you demo,Source Code and examples for implement Step By Step Good Luck!. Step 1 Include the simple angularjs ng-app directive as well as id=’ng-app'(for some browser like as aInternet Explorer browser) to the Dom element tag, therefore Angular knows to some directive execute on the web page. Step 2You have to some angular include Angularjs “script” tag within simple header part the tag HEAD. Sample pure JSON contains some blog feed data. Instantiate an HTML element once per some item from a data collection. ng-show simple directive is helps We some display specific data result. For getting some text uppercase results, We can do this some data with CSS too just adding simple formating text-transform:uppercase; css style. I hope you have Got What is Creating REST API using NodeJS and consuming in AngularJS And how it works.I would Like to have FeaeBack From My Blog(infinityknow.com) readers.Your Valuable FeedBack,Any Question,or any Comments abaout This Article(infinityknow.com) Are Most Always Welcome.